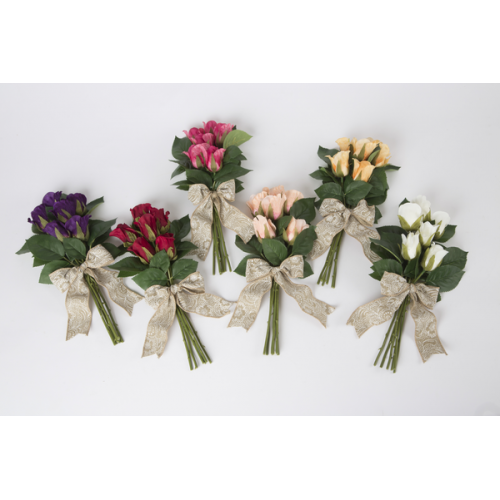 12" Rosebud Hand-bunch Bouquets; Polyester; Choose from Ivory, Red, Peach, Purple, Petal Pink, Pink or Cranberry. The perfect gift for Dance Recitals, Communions, Graduations, etc.! 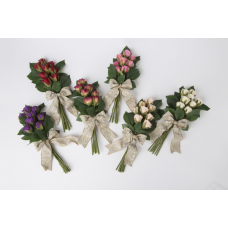 Give a child Forever Flowers for a lasting remembrance of those special childhood occasions! Tags: Rosebud Handbunch Bouquets, Polyester Flowers, Dance, Recitals, Graduation, Communion, etc.